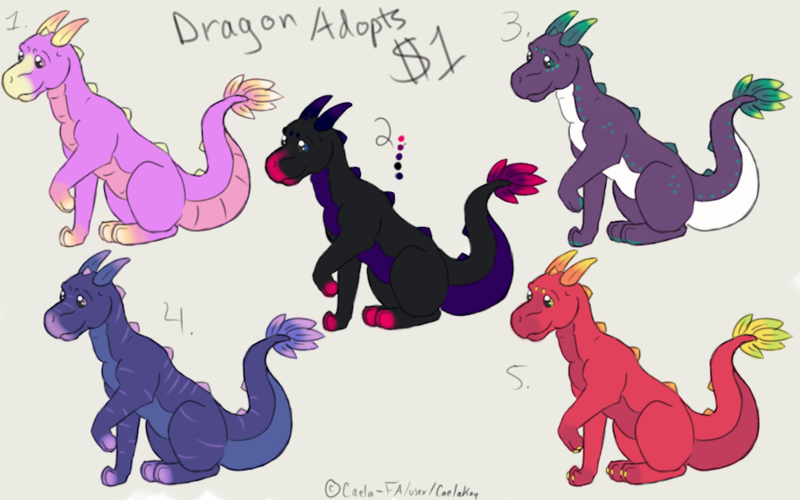 Here are a few Dragons for adoption! Base/art/color all by me. If you would like one of these cuties, please leave a comment. :) Paypal only. This is my very first attempt at adopts, so please go easy on me.